What is the difference between vented and ventless heating? Vented heating requires ventilation to the outside, either through piping or a damper in an existing fireplace. Vent-free also known as Ventless heating does not require ventilation. ProCom does not guarantee their Vent-Free products to operate correctly above 4500 Ft. above sea level. Customers may experience pilot outages and performance problems with the product. Both types of heating are safe provided the specific unit has been certified and installed according to the manufacturer’s instructions. Are Ventless gas products safe to use the home? Yes, most states in the US allow for the sale and installation of vent-free “supplemental” gas heat appliances. ProCom Ventless products are equipped with an ODS pilot assembly, precision-engineered burners for clean burn and a non-adjustable regulator to prevent over-firing. The purpose of the ODS is to shut off the supply of gas to the heater/fireplace when the oxygen level drops below 18%. What is the difference between Blue Flame and Infrared? May take longer to heat the room as it works to “convect” the entire area. Heats like the sun, radiating warmth, directly heating the objects in the room first, heating outward. Typically works better in un-insulated areas as they will heat objects before the air. What is the difference between a dedicated gas product vs. dual fuel? Dedicated products are manufactured with parts engineered specifically for either natural gas or propane (LP) and cannot be converted from one gas to another. Can I convert my ventless (Vent-Fee) dedicated fuel unit for one gas type to another? What are the restrictions for Ventless NG? Natural gas from the ground is odorless. The characteristic “gas” odor is added afterwards by the supplier called “mercaptan”, containing sulfur, which will give it the characteristic “rotten egg” odor. NG units cannot be connected to a private (non-utility) gas well, also known as “well-head” gas. These are typically found in rural areas where there is not an access to utility owned gas lines. This gas is odorless, therefore unsafe because a leak cannot be detected quickly. 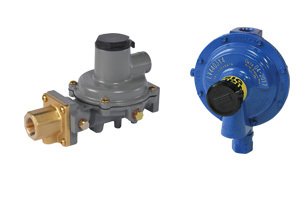 What type of regulator is required outside for a LP appliance? The “Integral Twin Stage System” is the most common for residential installations. If the propane tank is 15’ or more from the appliance, a “Two-Stage System” is recommended because of the propane required for the appliance to run correctly and efficiently. What size LP tank is required for ventless gas products? The minimum requirement is a 100 lb. tank. If a smaller tank is used the propane liquid does not have enough pressure to vaporize, the heater may begin to run improperly. This can also damage the internal regulator. The colder the outside temperature, the slower the vaporization rate of the propane, the LP inside the tank will not vaporize fast enough to operate the appliance and will create frost on the outside of the tank and cause the unit to shut down due to the lack of fuel. IMPORTANT: The only exception is the ProCom Ice House Heater, which uses a minimum 20 lb. tank. What does the term“BTU” mean? A “BTU” is a British Thermal Unit. BTU is the amount of energy it takes to raise one (1) pound of water one-degree Fahrenheit. 1 BTU = the heat generated by 1 lit matchstick. BTU limitations based on the cubic feet of air available in an area. Manifold pressure and orifice size determines the BTU output of the burners. Example: 10 ft. x 20 ft. x 8 ft. =1600 sq. ft. The maximum BTU’s for a fireplace or insert varies depending on whether the unit is ventless or vented. Example: Area: 50′ x 25′ x 10′ = 12,500 Cu. Ft.
What is a Vent-Free Firebox? Can be placed on the floor without footings. For installation requirements and further information refer to the Owner’s/Operator and Installation Manual. What are the installation requirements for vent-free heating? In order for an installation to be compliant with Federal Codes, all ProCom units are required to be installed by a licensed heating contractor, according to all local codes. The Owners’ Manual States that only a qualified agency should install and replace gas piping, gas utilization equipment or accessories, repairs and equipment servicing. Connecting, installing, testing, repairing or servicing equipment; experienced in such work; familiar with all precautions required; and has complied with all the requirement of the authority having jurisdiction. Where can I install a Ventless or Vent Free heating product? Important: Please check your local and state codes for vent-free appliance installation. Please review the owner/operator Installation manual for a specific model. What are the altitude restrictions on Ventless or vent-free heating? Manufacturers of vent-free appliances typically to not recommend not using their products above 4500 –5000 FT. The higher the altitude may cause pilot outages, due to the incomplete combustion of the gas caused by the low oxygen level. Vented heaters are adapted for use at a higher altitude. This certification can be found on the front of the owners’ manual, product hang tags, or the labels on the units. Note: Underwriters Laboratory (UL) does not certify gas products. They only certify electric products. 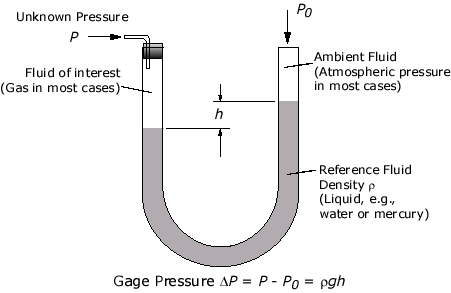 What is “Water Column Pressure” (W.C.)? Low pressure is any pressure below 1 pound per square inch (PSI). When dealing with pressures below 1 PSI, you will see the term “inches” or “inches of water column”. This refers to the amount of pressure it takes to raise a column of water 1 inch. There are 27.7 inches of water column (W.C.) pressure in 1 PSI of pressure. W.C. is measured with a “manometer” (pressure gauge), which measures the pressure of gases and vapors. For LP: Unit needs 11.0” – 14.0” W.C. Note: The maximum pressure in a residential dwelling is 2 psi. ProCom units are low-pressure systems. For NG, an additional meter maybe needed if dwelling is on a 2 psi systems. What is a “Oxygen Depletion Sensor” (ODS)? All Ventless or Vent-Free appliances are equipped with an ODS pilot assembly. The purpose of the ODS is to shut off the supply of gas to the heater/fireplace when the oxygen level drops below 18%. During operation, if the pilot flame goes out for any reason, the thermocouple or thermopile will cool and shut the gas valve that supplies the supply to the burner, shutting down the heater. There must be adequate air ventilation for units to function properly. ODS system contains a precision orifice. This ODS has a “ruby” orifice and designed to disintegrate with any attempt at drilling it out to enlarge the pilot flame. Additionally, it is not interchangeable with a normal standing pilot. Trying to burn gas at extremely low oxygen levels can cause deadly gases and high levels of Carbon Monoxide. Pilot flame engulfs tip of the thermocouple, generating the millivoltage needed to hold the safety pilot valve open. The flame begins to lift-off the precision pilot burner, causing the thermocouple to cool. What is “Carbon Monoxide” ? Carbon Monoxide (CO) is measured in parts-per million(ppm) An average cigarette emits 60-ppm draw or drag. Vent-Free products emit only 8ppm of CO over a three (3) hour period. Occupational Health and Safety Associaton (OSHA) considers air quality at 200 ppm of CO to be unsafe. Vent-Free appliances are 99.9% efficient and are safer to operate than a gas range. 200 ppm > Slight headache within 2-3 hours. 8400 ppm > Dissiness, nausea, convulsions within 45 minutes, insensible in 2 hours. Vent-free products are AGA approved, therefore certified to conform to National emmissions Standards. A Carbon Monoxide detector is not required for product installation. What is “water vapor” and it’s relation to vent-free heating? Water vapor is a by-product of gas combustion. An unvented room heater produces approximately one (1) oz. (30ml) of water every 1,000 BTU’s (.3KW’s) of gas input per hour. 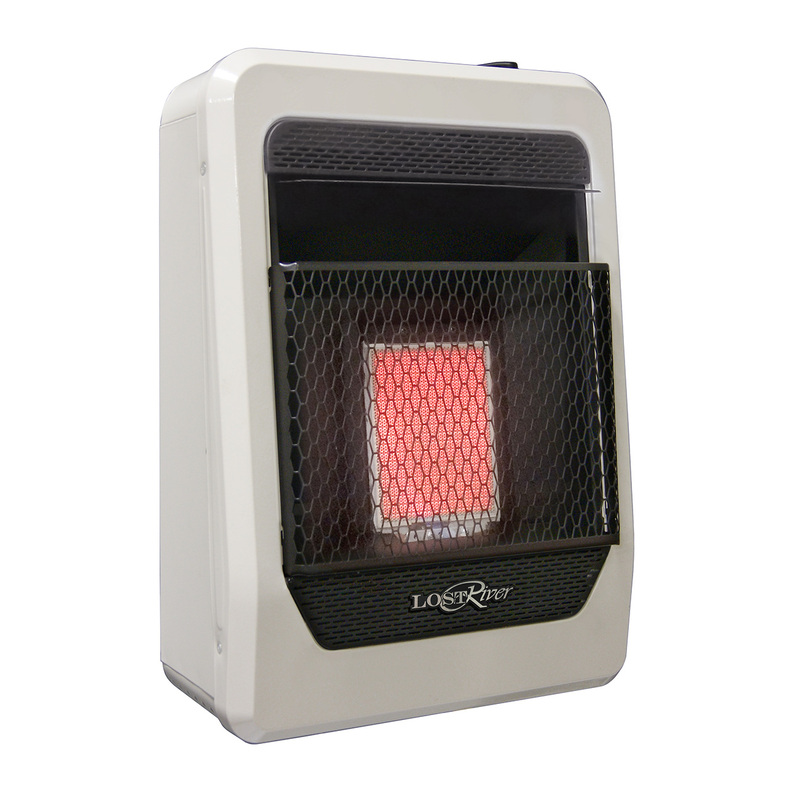 Unvented room heaters are recommended as supplemental heat rather than primary heat source. In most supplemental heat application, the water vapor does not create a problem. In most applications, the water vapor enhances the low humidity atmosphere experienced during cold weather. 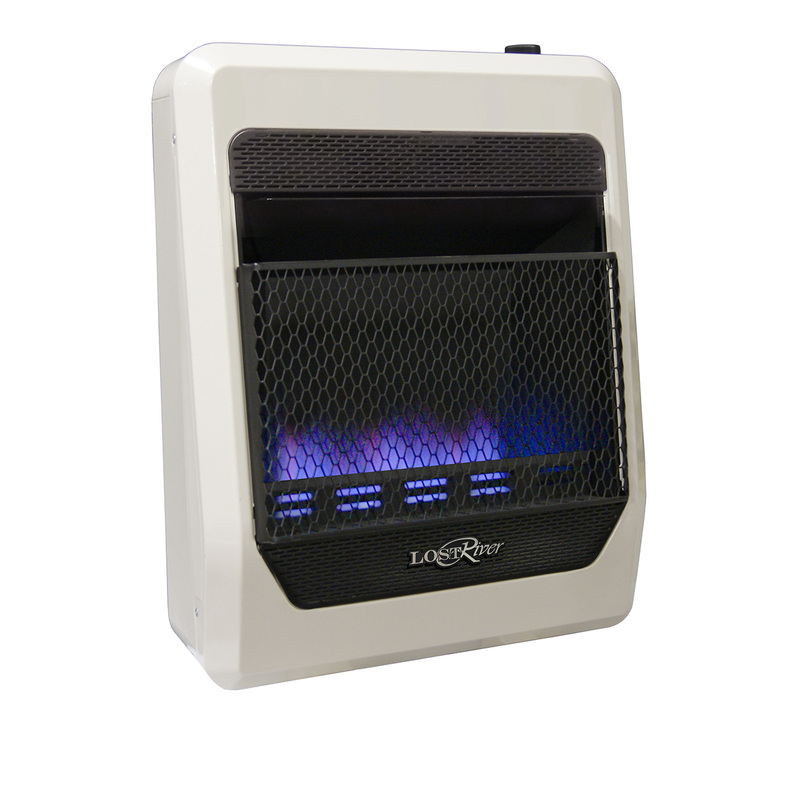 Heater sized properly for the application, including ample combustion air and circulation air. Example: Vapor (sweating) on windows or walls – unit is too large for the area. What is causing a strong “odor” when my unit is burning? Gas Leak: Shut the unit off. 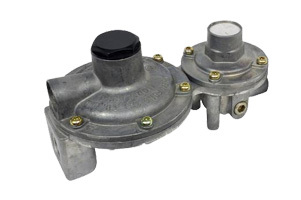 Licensed plumber or the gas company needs to check all connections to the gas valve, pilot assembly, burner and regulator. What does the term “sooting” mean? “Soot” is a fine black to brown powder formed through incomplete combustion. For an object to soot, it must be burned at a low temperature with a reduced supply of oxygen. The use of any chemicals in the air may cause a film to develop on windows, walls and ceilings from the combustion process. Example: Hold a heat-safe glass over a lit candle, a streak of black will appear from the point of contact. Burning scented candles while burning the unit. Low Gas Pressure to the burner. Wall Heaters: Hang tags on steel cable or sticker on the side. Gas Logs – Hang tags on steel cable under the grate. 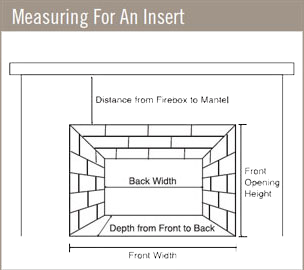 Fireplaces – Hang tags on steel cable on back of unit or inside the louver door area. How do I link the receiver box and remote on my vent-free unit? Light pilot & set control knob to “on”. Slide switch on the receiver box “on/off”: the burner should go on and off. What do I if the burner does not light using the remote? Turn solenoid clockwise until thumb-tight. Pilot lit, control knob in the “on” position.